Senator Bernie Sanders was introduced by Senator Elizabeth Warren in Boston on March 31. WASHINGTON — Senator Elizabeth Warren said Thursday she will support Bernie Sanders’ single-payer health care plan, thrilling liberals who see the legislation as the next major battle for the soul of the Democratic Party. The Massachusetts Democrat described the bill as expanding Medicare, the government insurance that covers people age 65 and older, to all Americans. She said it would guarantee care for everyone at the lowest prices, and she downplayed an emerging split between liberals and Democratic centrists over such a massive expansion of a government-run program. Democratic Senator Ed Markey, Warren’s Massachusetts colleague, also intends to sign on to Sanders’ bill as a co-sponsor, and a handful of the Bay State’s House delegation have thrown their support behind a House measure. Senator Elizabeth Warren is telling fellow Democrats to endorse a single-payer health insurance system for the upcoming 2018 midterm elections. 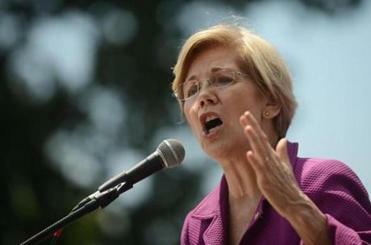 Warren has spent much of August studying the issue in detail, according to her staff. Her endorsement is a high-profile boost for Sanders’ legislation, which the Vermont independent senator readily admits faces a hard, years-long fight toward becoming law. 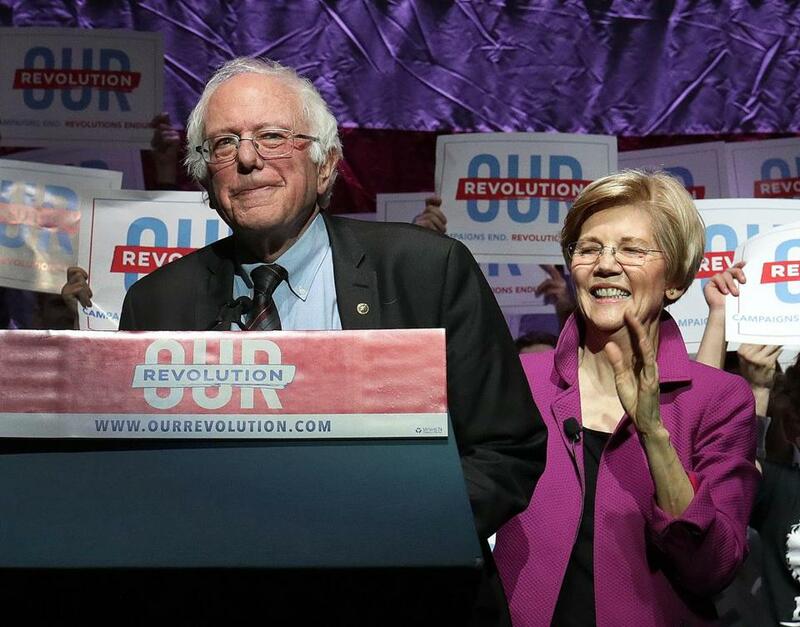 Like Sanders, Warren commands a national following and her backing will help achieve what Sanders says is his more immediate goal of using his bill to build support for a single-payer model and focus the national conversation on the issue. The move joins two leading figures of the liberal wing of the Democratic Party in common cause. While Warren and Sanders have a long relationship that predates her political career, they haven’t always been united, despite their similar worldviews. Most glaringly, during the 2016 Democratic primary, Warren declined to endorse Sanders, as many of her liberal fans wanted her to — though she also did not endorse Clinton until the former secretary of state had secured enough votes to guarantee nomination. In backing Sanders’ proposal, Warren joins a rising Democratic Party star, Kamala Harris, a freshman senator from California who is viewed as a potential 2020 presidential contender. Harris announced at the end of a town hall meeting Aug. 30 that she would back the bill because “it’s just the right thing to do.” Her endorsement, coupled with Warren’s, has sparked speculation — and in some corners of the party, fear — that any Democrat running for the presidential nomination in 2020 will have to come out in favor of single payer if they hope to win the nomination. However, some centrists believe focusing the Democratic Party on a battle for government-run health care is a potential political disaster. It will give Republicans abundant ammunition to paint the party as excessively liberal and reliant on government solutions. That the biggest names in the party are endorsing Sanders’ “Medicare for All” bill will almost certainly increase pressure on other Democratic lawmakers and candidates to get on board, too. Sanders has said he doesn’t plan to use support for his bill as a “litmus test,” but liberal activists are looking to push reluctant Democrats to embrace Sanders’ bill. Sanders plans to introduce his legislation next week. He has revealed few specifics about it but has said it will be more detailed than the proposal he featured in his 2016 campaign for president and more workable than previous single-payer bills. “Bernie Sanders, Elizabeth Warren, and many progressive groups will be united in the call for Medicare For All — and the entire Democratic Party should follow,” Stephanie Taylor, co-founder of Progressive Change Campaign Committee, said in response to Warren’s announcement. Single-payer health care — in which the government covers core costs for everyone, regardless of income — has been a goal of various Democrats for decades, including the late Senator Edward M. Kennedy, who made it a career mission but also recognized the value of the hybrid Massachusetts program, which relies on private insurance companies and served as the model for the President Obama’s Affordable Care Act. Single-payer has reemerged thanks in no small part to the rise of Sanders in the 2016 Democratic primary contest and other liberal forces. Republicans’ failed attempts to repeal the Affordable Care Act also propelled the Democratic push. In the House, 117 Democrats — more than half of the party’s caucus —have signed on as co-sponsors to a single payer bill written by Michigan Representative John Conyers. That’s nearly double the support of the last Congress. “It’s clearly where the party as a whole is going,” said Jim Manley, a Democratic consultant and former aide to Harry Reid when he was Senate majority leader. At the same time, he cautioned, passing an actual law will take a long time and Democrats need time to drill down into the details of how it would work and how much it would cost. Republicans believe the bigger the issue looms in the Democratic Party, the better for the GOP. Already, the House Republican campaign arm has run digital ads slamming Democrats for embracing “a European-style single-payer health care plan” that would lead to trillions of dollars in higher taxes and “government control” of medical decisions. “It’s fantastic. I love it. They should campaign on that,” said Jon McHenry, a GOP pollster and strategist with North Star Opinion Research, about Sanders’ bill. He likened the single-payer issue to a ladder for beleaguered Republicans who’ve been digging themselves a hole. Responding to Republican criticism, Warren said people already understand Medicare and support it. “Medicare is one of the most popular programs in this country, for a good reason, and it is a way that millions of Americans get access to health care at the lowest possible price,’’ she said. The issue divides Massachusetts’ House delegation. Representatives Katherine Clark, Jim McGovern, and Michael Capuano have co-sponsored Conyers’ bill. The others have not. In June, Warren signaled her support for a single-payer system, telling the Wall Street Journal that Democrats running in 2018 and 2020 should embrace single payer. Astead Herndon and Chris-topher Rowland of the Globe staff contributed to this story.